Bedec Interior and Exterior Stain Block Paint is suitable for use in interior and exterior environments on a range of different surfaces, including, wood, metal, concrete, brick, plaster and plasterboard. 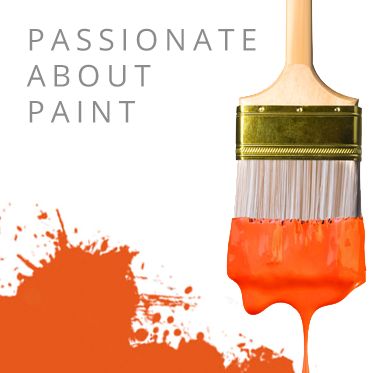 Bedec Interior and Exterior Stain Block Paint is a unique new product incorporating traditional and new technology to produce a water based product that will hold back most normal stains helping to prevent bleed through that can cause unsightly staining on new paintwork. Bedec Interior and Exterior Stain Block Paint can be used on walls, floors and ceilings depending on the substrate and offers exceptionally fast drying time. Bedec Interior and Exterior Stain Block Paint is best used to hide the horrid stains that can be caused by nicotine, crayon, tea, coffee, water, marker pen, smoke, wine, and many more. Bedec Interior and Exterior Stain Block Paint offers waterproofing technology that works to prevent certain stains from occurring again, and seeks to keep out further moisture. Hides: nicotine, crayon, tea and coffee, water stains, marker pen, smoke etc. Bedec Interior and Exterior Stain Block Paint can be applied using brush or roller and offers a theoretical coverage rate of 12m2 per litre. Bedec Interior and Exterior Stain Block Paint comes available in 750ml, 2.5 litres and 5 litre tubs for stains that cover a larger area, consistently. Once applied, Bedec Interior and Exterior Stain Block Paint will be dry in 2-4 hours and ready for a recoat in just 4 hours in case the stain isn't completely hidden first time round. Ensure the surfaces to be painted are clean dry and free from dust, dirt grease and wax. Remove all loose and defective paint. Algal, fungal or mould growths should be removed and treated with a fungicidal wash. Smooth glossy surfaces should be lightly abraded to provide a key. Pressure treated timber should be weathered for at least six months prior to painting. Denatured wood should be abraded to reveal new cells. New planed, finished wood or PSE wood should also be abraded to open the grain and allow maximum penetration. On untreated weathered wood, new wood, cement, render, plaster, brick work or any porous substrate. The first coat should be thinned with 30% clean water. Allow new creosote three months to weather. Apply by brush, roller, conventional H.V.L.P or airless spray. Stir well and check colour before use. Do not apply at air or surface temperatures below 8°C or when likely to rain before the paint has fully dried. Check for staining after the first coat. A second coat maybe required for complete blocking. The clue is in the name as Bedec Interior and Exterior Stain Block Paint is suitable for use in interior and exterior environments on a range of different surfaces, including, wood, metal, concrete, brick, plaster and plasterboard, to name a few.